DEFROSTER GLASS - has matching bottom trim, original style coil zipper. We computer cut and assemble our tops to duplicate the original Factory quality for fit and appearance. Top off your Show quality restoration with our time proven patterns! Choose the material style/color and then "ADD TO CART"
STAYFAST CLOTH CONVERTIBLE TOP ONLY $400. 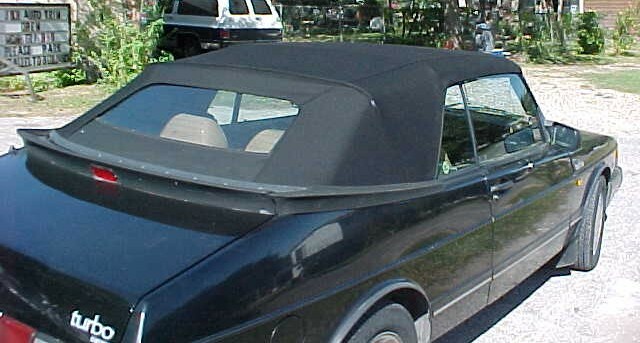 SF "G" TWILLFAST CONVERTIBLE TOP ONLY $475. DEFROSTER GLASS - STAYFAST CLOTH TRIM $269. DEFROSTER GLASS - TWILLFAST/SF"G" TRIM $279. SIDE TENSION CABLES - PAIR - 28" LENGTH $54. PAD STRAPS - original style Black nylon webbing $54.